Not long ago, across more than 750,000 square miles, the heartland of the continent was a vast sea of prairie grass, interrupted here & there by mountainous terrain & winding, forested river bottoms. Above photo from 7 Themes utilized according to Fair Use. Above map from WikiWand utilized respectfully in accordance with Fair Use. 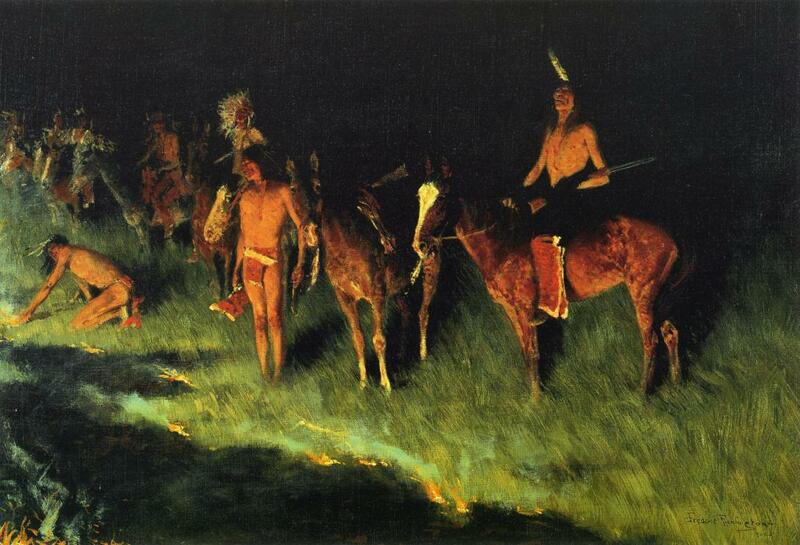 Tribes subsisted from, observed, & derived their spiritual understanding of the world — their connection — through fulfilling the integral roles they each played among & alongside these prairies & surrounding ecosystems. Above photo from ImageKind Canvas Prints utilized respectfully with regard to Fair Use. Above map from Midwestern Regional Climate Change utilized according to Fair Use. 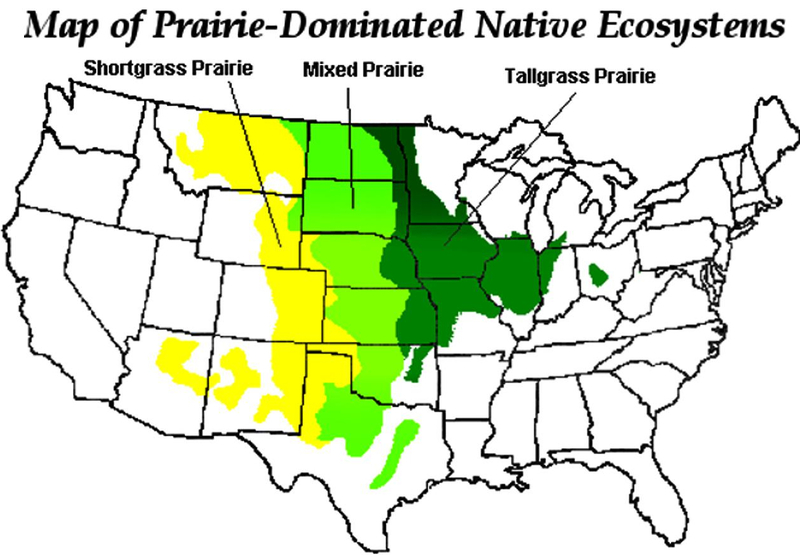 Approximately 40% of the U.S. land mass was covered in prairie, with tallgrass prairie accounting for ~142 million acres. Iowa had the largest percentage of its area covered by tallgrass prairie, with around 30 million acres. 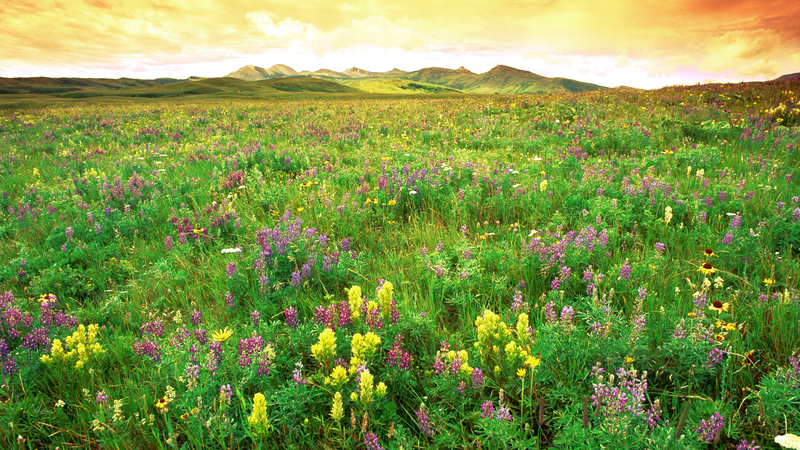 Over 100 plant species can occur in a prairie of less than 5 acres! The major grasses of the tallgrass prairie are the big bluestem, the little bluestem, Indiangrass and switchgrass. These tall grasses can grow as tall as ten feet and average a height of six to eight feet. The soil underneath the prairie is a dense tangle of roots and bulbs. Some prairie plants put out roots that extend 12 feet below the prairie surface. Each year some of the roots die. Large quantities of organic matter are added to the soil as they decompose —thereby producing rich and fertile soil. 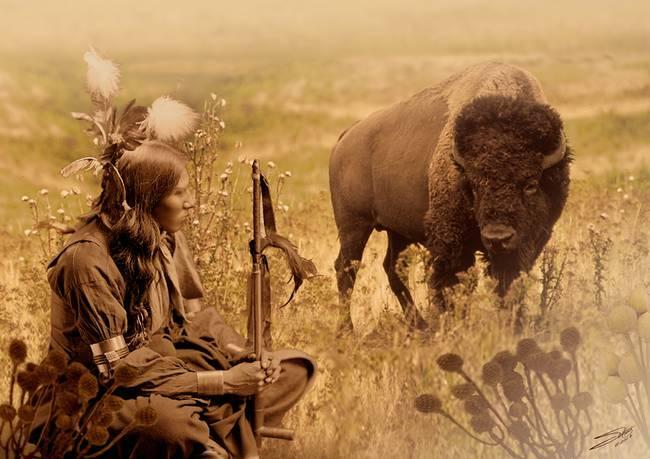 At least 30 million bison grazed on the plains & prairies when European explorers first arrived, as well as millions of elk and millions of pronghorn. Selective grazing by these animals naturally promoted the growth of other plants that were exposed to more sunlight as the grasses were kept short, thus increasing the diversity. Grazing is an integral part of the prairie ecosystem, and also increases the growth of prairie plants. Above graphic from Tabletop Whale utilized respectfully according to Fair Use. 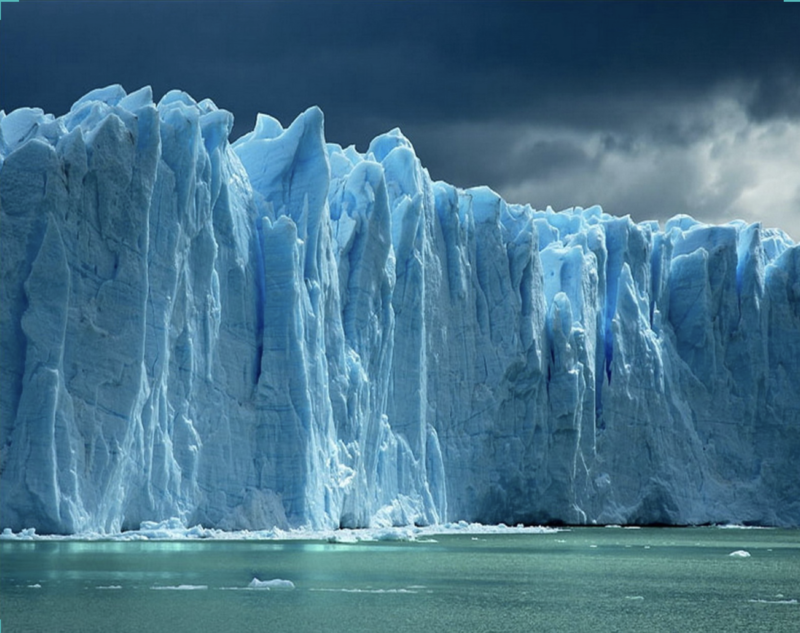 Above photo from Desktop Wallpapers utilized respectfully in accordance with Fair Use. 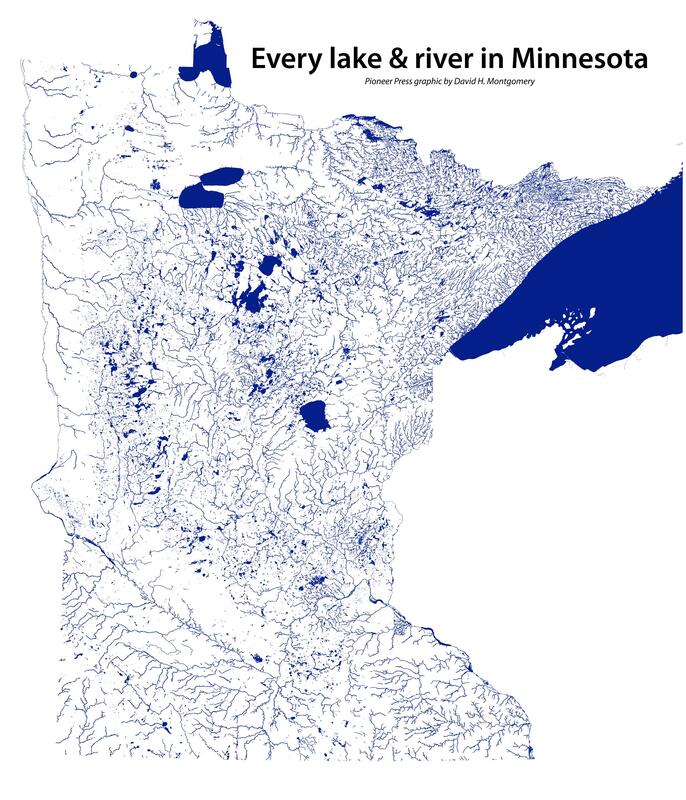 Above map from Twin Cities Pioneer Press utilized respectfully in accordance with Fair Use. Above photo by Dan Charles utilized respectfully in accordance with Fair Use. Above photo from ABC News utilized respectfully in accordance with Fair Use. 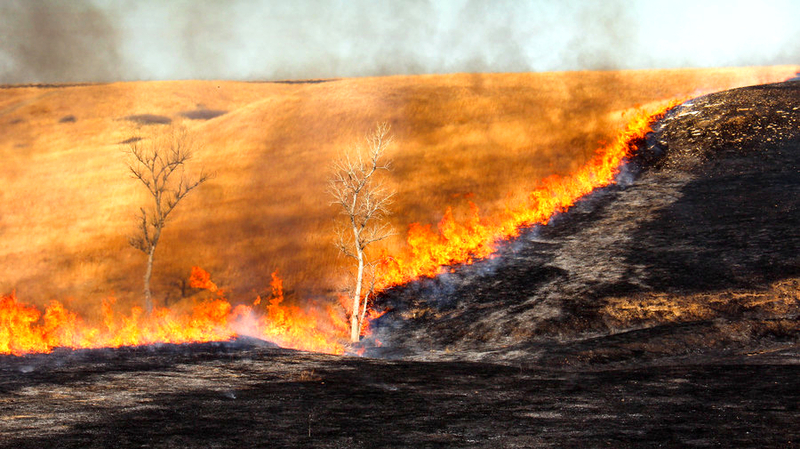 Fire stimulates growth of prairie plants by removing dead plant material, allowing sunlight to penetrate to the black earth that follows the burn in order to warm the ground & stimulate dormant plants to sprout & grow. The tied-up nutrients that would take months or years to decay are within seconds turned to ash & in a form usable to plants. Fire promotes the germination of many prairie plant seeds by removing the seed coat. 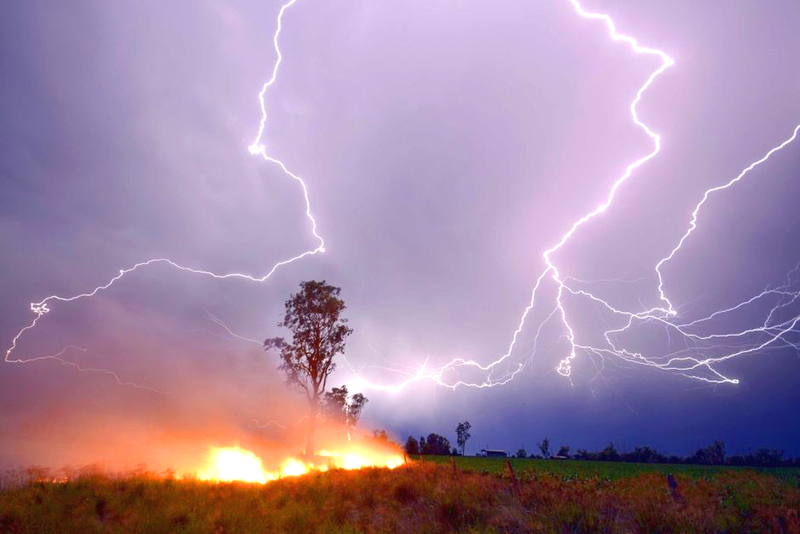 Prairie fires can move as fast as 600 feet per minute and burn as hot as 700 degrees Fahrenheit. Prairie fire is an important ingredient in the renewal of the prairie. The majority has been caused by livestock & feed crop industries. Much has been caused by urban development. In Iowa, 99.9 percent of the historic natural landscape is gone. Today, only about one percent of the North American prairies still exist. 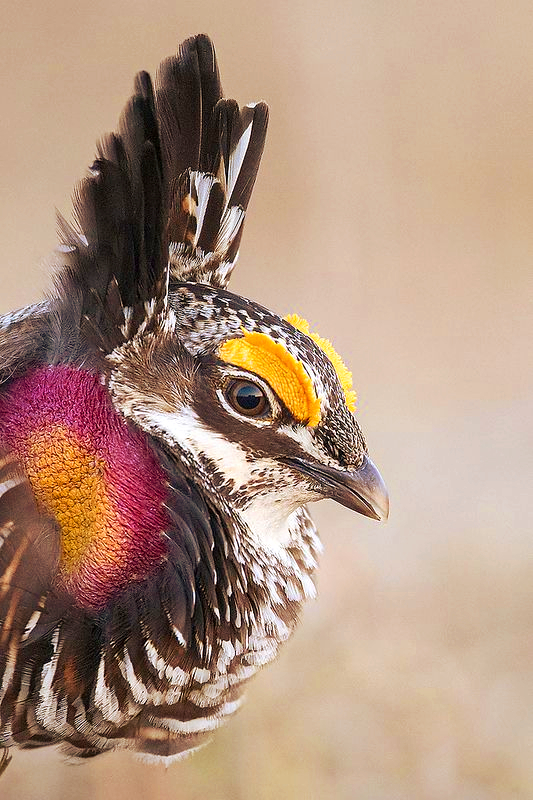 Prairie chickens once flourished on the grasslands. As with several other species, as the grass disappeared, so did the prairie chicken. Today, only about 400,000 survive in the entire country, in 11 states. Above photo by Jeff Dyck utilized respectfully in accordance with Fair Use. Ecological Restoration – Let’s Do This! 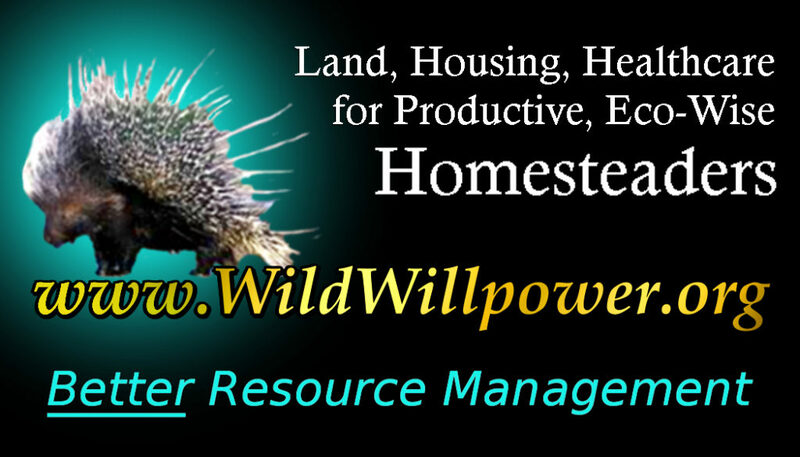 Our organization, Wild Willpower, has recently created a plan and petition to “transfer subsidies from livestock & feed crop industries to native animal & habitat restoration projects“. Please take a moment to read & sign. Iowa Prairie Network (IPN) – grassroots, volunteer organization dedicated to the preservation of Iowa’s prairie heritage. 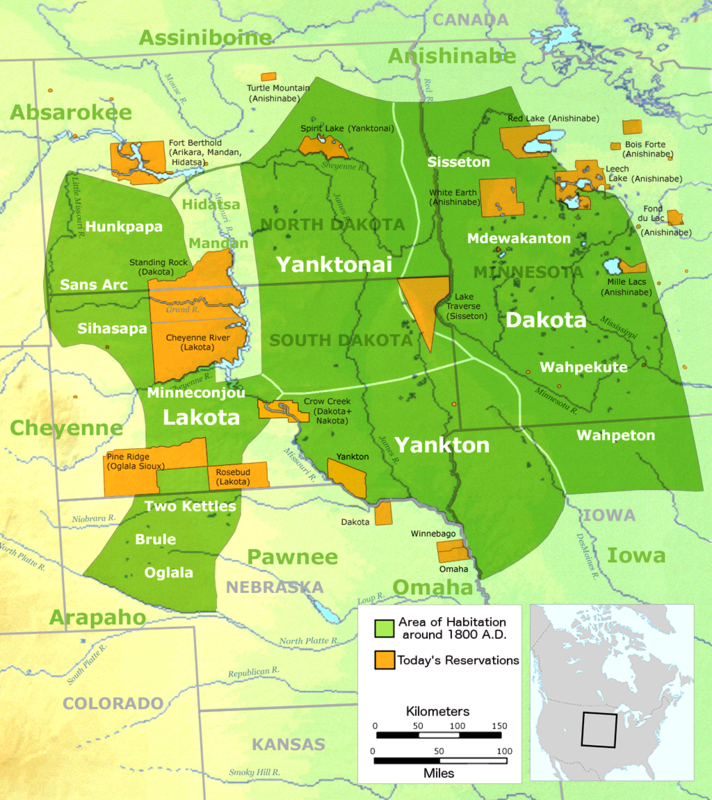 Formed in 1990 by Iowans concerned their prairie heritage was disappearing. Brings those who know about prairie together with those who want to learn, to create a network of advocacy. Have your organization listed here by emailing Distance@WildWillpower.org with “PRAIRIE RESTORATION” written in the subject line. The process begins with over a year of rigorous weed control to get the sites ready for planting. Dead vegetation is often removed using prescribed fire. When the sites are just about ready for planting they may be lightly disked and harrowed using a variety of different equipment. High diversity native seed selection is based on individual site characteristics. The native seed mixture is obtained from local seed sources. Mowing once in the year of planting helps to reduce competition for sunlight and speed development of certain prairie plants. Once established, native seed is often hand broadcasted or seeded with a no-till drill. During the first two years, a planted prairie is usually flush with fast-growing, weeds and non-native species such as thistle, clover, wormwood and alfalfa. Hidden below the weed canopy, however, are seedlings of the slower developing prairie plants. If you like, please consider offering a contribution to. Other donation options include Venmo or Paypal.